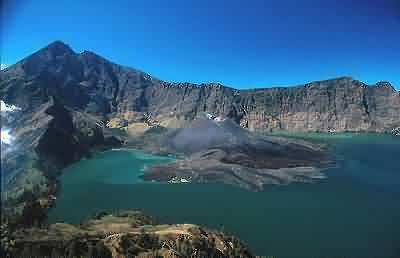 Segara Anak Lake, is a lake that formed in the Caldera of Mount Rinjani at 3775 meters above sea level. 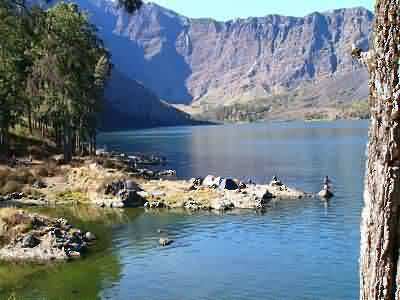 The scene in this lake is amazing and so beautiful that many foreign tourists and domestic come to visit and climb Mount Rinjani to see the beauty of the lake. There are lots of fish in the lake with 230 meters depth and the extent of 1100 hectares. Many people come there not only to witness the beauty of nature but also for only one purpose, fishing. Around Lake Segara Anak until now is a habitat for wildlife species of specific grouse, and a place to held a ritual ceremony called ‘Watu Telu’ by Indigenous People of the Bayan and the pyre of Hindu society. 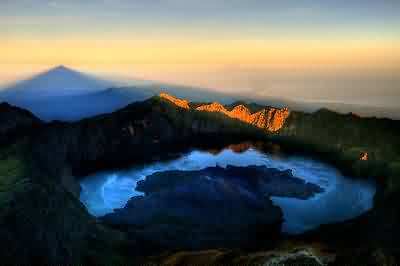 In the middle of the lake formed a Little Mountain named Mount Baru Jari at 2376 meters above sea level. The little mountain last erupted in 2004. 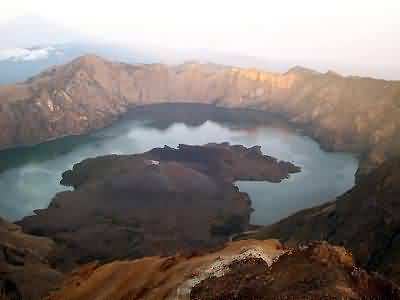 Lake Segara Anak can be reached through two channels, from Senaru, West Lombok and Sembalun, East Lombok. The road can be initiated from climbing Pesugulan on 78 km from Mataram. There is also wonderful places for camping especially at the lake Segara Anak. 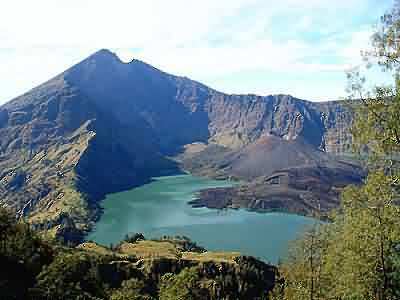 Mount Rinjani was titled National Park in 1997 with 41,330 hectares area, Mount Rinjani National Park is very rich in biodiversity of flora, fauna and various types of rain forest vegetation types of High Mountainous terrain, lowland Tropical rain forest and Savanna ecosystems. Witness yourself, the sanctuary, the beauty beyond your imagination.